East London NHS Foundation Trust's honest, committed approach to equality and diversity has opened up the trust's top jobs to BME staff. But success has thrown up some surprising challenges - and there is no room for complacency. In August 2016, East London NHS Foundation Trust (ELFT) became the first in the country to have a black and minority ethnic (BME) chief executive and chair, both of whom are women. ‘Race equality is something that we think about in everything we do,’ says Navina Evans, who was promoted to chief executive from director of operations and deputy chief. Rated ‘outstanding’ by the Care Quality Commission in 2016, ELFT provides a range of mental health, community and forensic services. The trust covers the London boroughs of Newham, Hackney, Tower Hamlets, the City of London, Barnet, Richmond and Redbridge, as well as areas in Essex, Hertfordshire, Bedfordshire and Luton. Of around 5,500 staff, more than half come from a BME background, while more than 64% of nursing staff are BME – probably the highest proportion in the country. ‘But that’s what you’d expect,’ says ELFT’s chief nurse and deputy chief executive Jonathan Warren. The trust serves one of the most culturally diverse parts of the UK, with half its population having a BME background and more than 100 languages spoken in the borough of Newham alone. Since the inception of the Workforce Race Equality Standard (WRES) in April 2015 (see box), the UK has voted in favour of leaving the European Union. The months following the referendum saw the highest number of race hate crimes ever recorded by regional police forces. Among the issues the WRES looks at is the representation of BME staff at various bands, including senior management. To develop nurse leaders, those at senior level are encouraged to attend established leadership programmes run by the King’s Fund or the NHS Leadership Academy. In addition, ELFT runs a variety of internal development courses, including a nursing leadership programme for each of the bands from 8a down to 3. It has been running for eight years, with several annual cohorts, and is often over-subscribed. 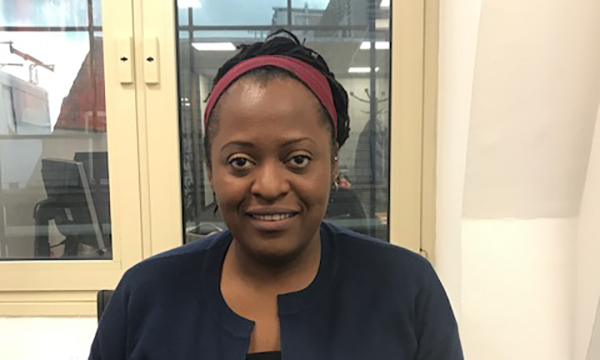 Ms Sunduza joined ELFT 15 years ago as a band 6 charge nurse; her current role is band 9. ‘Speaking as a BME person, I see that opportunities are equal because the trust’s leadership is very open,’ she says. ‘I had feedback, nurturing, coaching and mentoring from all the leaders, who were accessible. ‘I felt that I had an equal shot. Obviously, I’ve put myself forward too, but the environment here has made it easier for me,’ she adds. For Dr Evans, seeing people follow her own lead and progress within the trust is close to her heart. ‘There’s something about looking after our own. I want to see people grow up within the organisation,’ she says. In April 2015, the Workforce Race Equality Standard (WRES) became part of the NHS contract, with trusts first publishing their baseline data in July that year. WRES requires NHS organisations to demonstrate progress against a number of indicators of workforce equality, including the current low levels of BME board representation. Professor Warren says the WRES ‘shines a light on the difficult issues we face’. But he is also critical of how it can be used as a crude instrument of measurement.